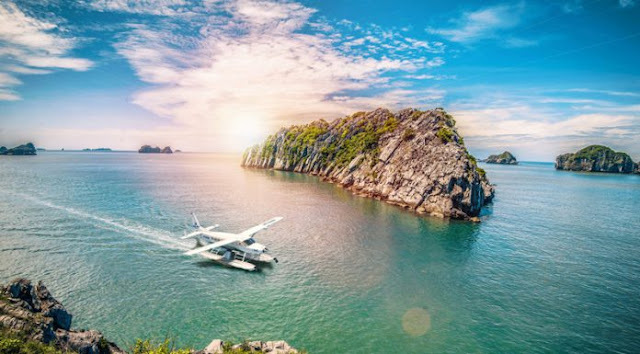 Seaplane tour to Halong Bay departing from Hanoi is one of high-end tours. View of Halong Bay from high above when sitting on a seaplane. Revel in the tranquility of the natural seascape dotted with islands and rocky outcrops when leisurely cruising around. Book this premium package of classic cruise plus seaplane today to enjoy a charming and luxurious journey through the magnificent Halong Bay!